Family-owned and family-run for four generations, Pictsweet Farms was built on commitment, forged from the kind of loyalty that comes from the heart. 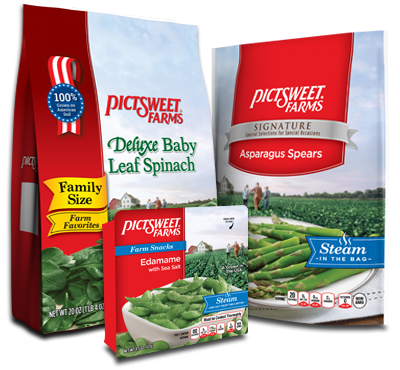 Our family tradition of hard work and commitment continues, and it has made Pictsweet Farms one of the best growers and distributors of frozen vegetables in the United States. Since 1945, we’ve been serving your family the same vegetables we serve ours. Here at Pictsweet Farms, we also believe in providing our employees with a positive and supportive work environment in which they can thrive and grow.